"Wear your learning like your watch, in a private pocket; do not pull it out and strike it merely to show you have one." 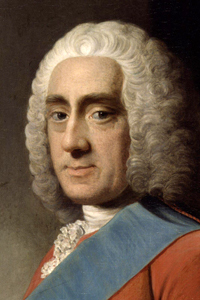 The Right Honourable Philip Dormer Stanhope, Fourth Earl of Chesterfield, Lord Stanhope of Shelford was an English statesman and author. A noted wit and orator, his long public career, begun in 1715, included an ambassadorship to The Hague (1728-32, 1744), a seat in Parliament, and a successful tenure as lord lieutenant of Ireland (1745-46). His literary fame rests upon his letters to his illegitimate son, Philip Stanhope (first published in 1774), designed for the education of a young man, and upon his letters to his godson (published in 1890). Among other accomplishments, he introduced legislation in 1751 adopting the new style Gregorian calendar. Although he never mentions Freemasonry in his letters to his son or godson, his initiation on 24 June at the Kings Arms Tavern is noted in Andersons Constitutions. William Preston reports his initiation at the Queens Arms Tavern. Anderson also records Chesterfield being present at the initiation of the Duke of Lorraine, later the Emperor of the Holy Roman Empire, in 1731. 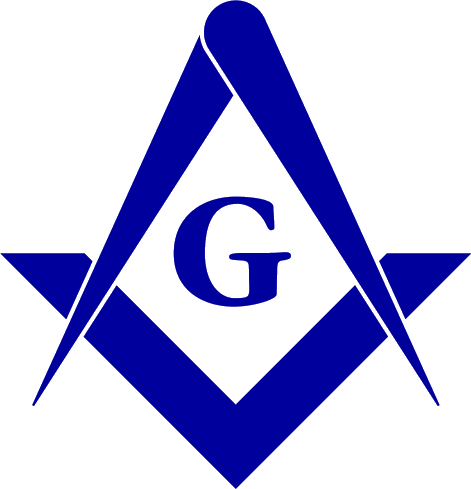 Although Denslow reports his receiving the Master Mason degree at Lodge No. 4, Horn Tavern, London, there is no evidence of this. Source: AQC vol. 83 (1969) p. 169; AQC 1989 p. 261-2; vol 82 p. 263: initiation noted in Andersons Constitutions, 1738. p. 112. Letters Written by the late Right Honourable Philip Dormer Stanhope, Earl of Chesterfield, to his son, Philip Stanhope, Esq., 2 vols. (London: J. Dodsley, 1774; William R. Denslow, 10,000 Famous Freemasons (1957), vol. i, p. 204; William Preston, Illustrations of Fremasonry (1786), p. 254.